Luminaire, Solaris, Destiny and Dream Machine owners – do you want to explore your sewing and embroidery machine beyond the basics? Join us each month as we explore the techniques and capabilities your machine does so well! Join other Luminaire, Solaris, Destiny and Dream Machine owners to learn more of the amazing things your machines can do. These classes are designed to help you become comfortable using the many features of your wonderful machines! This is a hands-on class, so you will be learning and doing at the same time. There will be a supply list to advise what you should bring to each class. 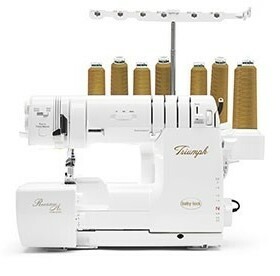 You will need to bring your machine and embroidery unit each time unless stated otherwise in the class supply list. The morning class (10a – 1p) is for Dream/Destiny models, the afternoon class (2p – 5p) is for Luminaire/Solaris models. We will have classes Jan 7, Feb 5, Mar 5, Apr 2, May 7, Jul 2, Aug 6, Sep 3, Oct 1, Nov 5, and Dec 3. Price is per class. Prerequisite: You should know the basics of your machine, i.e. how to change the needle, thread the machine etc.